This Materials Square Customer Agreement (this “Agreement”) contains the terms and conditions that govern your access to and use of the “Materials Square” Service Offerings (as defined below) and is an agreement between Virtual Lab, Inc. (“Virtual Lab,” “we,” “us,” or “our”) and you or the entity you represent (“you” or "your"). This Agreement takes effect when you click an “Sign In” button or, if earlier, when you use any of the Service Offerings (the “Effective Date”). You represent to us that you are lawfully able to enter into contracts (e.g., you are not a minor). If you are entering into this Agreement for an entity, such as the company you work for, you represent to us that you have legal authority to bind that entity. 1.1 Generally.You may access and use the Service Offerings in accordance with this Agreement. Service Terms apply to certain Service Offerings. You will comply with the terms of this Agreement and all laws, rules and regulations applicable to your use of the Service Offerings. 1.2 Your Account.To access the Services, you must have an “Materials Square” account associated with a valid email address and a valid form of payment. Unless explicitly permitted by the Service Terms, you will only create one account per email address. 1.3 Third-Party Content.Third-Party Content may be used by you at your election. Third-Party Content is governed by this Agreement and, if applicable, separate terms and conditions accompanying such Third-Party Content, which terms and conditions may include separate fees and charges. 2.1 To the Service Offerings. We may change or discontinue any or all of the Service Offerings or change or remove functionality of any or all of the Service Offerings from time to time. We will notify you of any material change to or discontinuation of the Service Offerings. 3.1 Security. Without limiting Section 10 or your obligations under Section 4.2, we will implement reasonable and appropriate measures designed to help you secure Your Content against accidental or unlawful loss, access or disclosure. 3.3 Service Attributes. To provide billing and administration services, we may process Service Attributes in the Virtual Lab. To provide you with support services initiated by you and investigate fraud, abuse or violations of this Agreement, we may process Service Attributes where we maintain our support and investigation personnel. 4.1 Your Accounts.Except to the extent caused by our breach of this Agreement, (a) you are responsible for all activities that occur under your account, regardless of whether the activities are authorized by you or undertaken by you, your employees or a third party (including your contractors, agents or End Users), and (b) we and our affiliates are not responsible for unauthorized access to your account. 4.2 Your Content. You will ensure that Your Content, Your Submissions and Your and End Users’ use of Your Content, Your Submissions or the Service Offerings will not violate any of the Policies or any applicable law. You are solely responsible for the development, content, operation, maintenance, and use of Your Content and Your Submissions. 4.3 Your Security and Backup. You are responsible for properly configuring and using the Service Offerings and otherwise taking appropriate action to secure, protect and backup your accounts and Your Content in a manner that will provide appropriate security and protection, which might include use of encryption to protect Your Content from unauthorized access and routinely archiving Your Content. 4.4 Log-In Credentials and Account Keys. “Materials Square” log-in credentials and private keys generated by the Services are for your internal use only and you will not sell, transfer or sublicense them to any other entity or person, except that you may disclose your private key to your agents and subcontractors performing work on your behalf. 5.1 Service Fees. We calculate and bill fees and charges hourly. We may bill you more frequently for fees accrued if we suspect that your account is fraudulent or at risk of non-payment. You will pay us the applicable fees and charges for use of the Service Offerings as using one of the payment methods we support. All amounts payable by you under this Agreement will be paid to us without setoff or counterclaim, and without any deduction or withholding. Fees and charges for any new Service or new feature of a Service will be effective when we post updated fees and charges on the “Materials Square” Site, unless we expressly state otherwise in a notice. We may increase or add new fees and charges for any existing Services you are using by giving you at least 15 days’ prior notice. We may elect to charge you interest at the rate of 1.5% per month (or the highest rate permitted by law, if less) on all late payments. 5.2 Taxes. Each party will be responsible, as required under applicable law, for identifying and paying all taxes and other governmental fees and charges (and any penalties, interest, and other additions thereto) that are imposed on that party upon or with respect to the transactions and payments under this Agreement. All fees payable by you are exclusive of Indirect Taxes. We may charge and you will pay applicable Indirect Taxes that we are legally obligated or authorized to collect from you. You will provide such information to us as reasonably required to determine whether we are obligated to collect Indirect Taxes from you. We will not collect, and you will not pay, any Indirect Tax for which you furnish us a properly completed exemption certificate or a direct payment permit certificate for which we may claim an available exemption from such Indirect Tax. All payments made by you to us under this Agreement will be made free and clear of any deduction or withholding, as may be required by law. If any such deduction or withholding (including but not limited to cross-border withholding taxes) is required on any payment, you will pay such additional amounts as are necessary so that the net amount received by us is equal to the amount then due and payable under this Agreement. We will provide you with such tax forms as are reasonably requested in order to reduce or eliminate the amount of any withholding or deduction for taxes in respect of payments made under this Agreement. 6.2 Effect of Suspension. If we suspend your right to access or use any portion or all of the Service Offerings. You remain responsible for all fees and charges you incur during the period of suspension. 7.1 Term. The term of this Agreement will commence on the Effective Date and will remain in effect until terminated under this Section 7. Any notice of termination of this Agreement by either party to the other must include a Termination Date that complies with the notice periods in Section 7.2. (a) Termination for Convenience. You may terminate this Agreement for any reason by providing us notice and closing your account for all Services for which we provide an account closing mechanism. We may terminate this Agreement for any reason by providing you at least 15 days’ advance notice. (i) By Either Party. Either party may terminate this Agreement for cause if the other party is in material breach of this Agreement and the material breach remains uncured for a period of 15 days from receipt of notice by the other party. No later than the Termination Date, you will close your account. (ii) By Us. We may also terminate this Agreement immediately upon notice to you (A) for cause if we have the right to suspend under Section 6, (B) if our relationship with a third-party partner who provides software or other technology we use to provide the Service Offerings expires, terminates or requires us to change the way we provide the software or other technology as part of the Services, or (C) in order to comply with the law or requests of governmental entities. (iv) Sections 4.1, 5, 7.3, 8 (except the license granted to you in Section 8.4), 9, 10, 11, 13 and 14 will continue to apply in accordance with their terms. (ii) we will allow you to retrieve Your Content from the Services only if you have paid all amounts due under this Agreement. For any use of the Services after the Termination Date, the terms of this Agreement will apply and you will pay the applicable fees at the rates under Section 5. 8.1 Your Content. Except as provided in this Section 8, we obtain no rights under this Agreement from you (or your licensors) to Your Content. You consent to our use of Your Content to provide the Service Offerings to you and any End Users. 8.2 Your Submissions. Your Submissions will be governed by the terms of the Apache License, Version 2.0, unless you request and we consent in writing to another license supported by us. 8.3 Adequate Rights.You represent and warrant to us that: (a) you or your licensors own all right, title, and interest in and to Your Content, Your Submissions and Suggestions; (b) you have all rights in Your Content, Your Submissions and Suggestions necessary to grant the rights contemplated by this Agreement; and (c) none of Your Content, Your Submissions or End Users’ use of Your Content, Your Submissions or the Service Offerings will violate the Acceptable Use Policy. 8.4 Service Offerings License. We or our licensors own all right, title, and interest in and to the Service Offerings, and all related technology and intellectual property rights. Subject to the terms of this Agreement, we grant you a limited, revocable, non-exclusive, non-sublicensable, non-transferrable license to do the following: (a) access and use the Services solely in accordance with this Agreement; and (b) copy and use the “Materials Square” Content solely in connection with your permitted use of the Services. Except as provided in this Section 8.4, you obtain no rights under this Agreement from us, our affiliates or our licensors to the Service Offerings, including any related intellectual property rights. Some “Materials Square” Content and Third-Party Content may be provided to you under a separate license, such as the Apache License, Version 2.0, or other open source license. In the event of a conflict between this Agreement and any separate license, the separate license will prevail with respect to the “Materials Square” Content or Third-Party Content that is the subject of such separate license. 8.5 License Restrictions. Neither you nor any End User will use the Service Offerings in any manner or for any purpose other than as expressly permitted by this Agreement. Neither you nor any End User will, or will attempt to (a) modify, distribute, alter, tamper with, repair, or otherwise create derivative works of any Content included in the Service Offerings (except to the extent Content included in the Service Offerings is provided to you under a separate license that expressly permits the creation of derivative works), (b) reverse engineer, disassemble, or decompile the Service Offerings or apply any other process or procedure to derive the source code of any software included in the Service Offerings (except to the extent applicable law doesn’t allow this restriction), (c) access or use the Service Offerings in a way intended to avoid incurring fees or exceeding usage limits or quotas, or (d) resell or sublicense the Service Offerings. During and after the Term, you will not assert, nor will you authorize, assist, or encourage any third party to assert, any intellectual property infringement claim regarding any Service Offerings you have used. You may only use the “Materials Square” Marks in accordance with the Trademark Use Guidelines. You will not misrepresent or embellish the relationship between us and you (including by expressing or implying that we support, sponsor, endorse, or contribute to you or your business endeavors). You will not imply any relationship or affiliation between us and you except as expressly permitted by this Agreement. 8.6 Suggestions. If you provide any Suggestions to us or our affiliates, we and our affiliates will be entitled to use the Suggestions without restriction. You hereby irrevocably assign to us all right, title, and interest in and to the Suggestions and agree to provide us any assistance we require to document, perfect, and maintain our rights in the Suggestions. 9.1 General.You will defend, indemnify, and hold harmless us, our affiliates and licensors, and each of their respective employees, officers, directors, and representatives from and against any Losses arising out of or relating to any third-party claim concerning: (a) your or any End Users’ use of the Service Offerings (including any activities under your “Materials Square” account and use by your employees and personnel); (b) breach of this Agreement or violation of applicable law by you, End Users, Your Content or Your Submissions; (c) Your Content or Your Submissions or the combination of Your Content or Your Submissions with other applications, content or processes, including any claim involving alleged infringement or misappropriation of third-party rights by Your Content or Your Submissions, or by the use, development, design, production, advertising or marketing of Your Content or Your Submissions; or (d) a dispute between you and any End User. You will reimburse us for reasonable attorneys’ fees, as well as our employees’ and contractors’ time and materials spent responding to any third party subpoena or other compulsory legal order or process associated with third party claims described in (a) through (d) above at our then-current hourly rates. 9.2 Process. We will promptly notify you of any claim subject to Section 9.1, but our failure to promptly notify you will only affect your obligations under Section 9.1 to the extent that our failure prejudices your ability to defend the claim. You may: (a) use counsel of your own choosing (subject to our written consent) to defend against any claim; and (b) settle the claim as you deem appropriate, provided that you obtain our prior written consent before entering into any settlement. We may also assume control of the defense and settlement of the claim at any time. THE SERVICE OFFERINGS ARE PROVIDED “AS IS.” EXCEPT TO THE EXTENT PROHIBITED BY LAW, OR TO THE EXTENT ANY STATUTORY RIGHTS APPLY THAT CANNOT BE EXCLUDED, LIMITED OR WAIVED, WE AND OUR AFFILIATES AND LICENSORS (A) MAKE NO REPRESENTATIONS OR WARRANTIES OF ANY KIND, WHETHER EXPRESS, IMPLIED, STATUTORY OR OTHERWISE REGARDING THE SERVICE OFFERINGS OR THE THIRD-PARTY CONTENT, AND (B) DISCLAIM ALL WARRANTIES, INCLUDING ANY IMPLIED OR EXPRESS WARRANTIES (I) OF MERCHANTABILITY, SATISFACTORY QUALITY, FITNESS FOR A PARTICULAR PURPOSE, NON-INFRINGEMENT, OR QUIET ENJOYMENT, (II) ARISING OUT OF ANY COURSE OF DEALING OR USAGE OF TRADE, (III) THAT THE SERVICE OFFERINGS OR THIRD-PARTY CONTENT WILL BE UNINTERRUPTED, ERROR FREE OR FREE OF HARMFUL COMPONENTS, AND (IV) THAT ANY CONTENT WILL BE SECURE OR NOT OTHERWISE LOST OR ALTERED. WE AND OUR AFFILIATES AND LICENSORS WILL NOT BE LIABLE TO YOU FOR ANY DIRECT, INDIRECT, INCIDENTAL, SPECIAL, CONSEQUENTIAL OR EXEMPLARY DAMAGES (INCLUDING DAMAGES FOR LOSS OF PROFITS, REVENUES, CUSTOMERS, OPPORTUNITIES, GOODWILL, USE, OR DATA), EVEN IF A PARTY HAS BEEN ADVISED OF THE POSSIBILITY OF SUCH DAMAGES. FURTHER, NEITHER WE NOR ANY OF OUR AFFILIATES OR LICENSORS WILL BE RESPONSIBLE FOR ANY COMPENSATION, REIMBURSEMENT, OR DAMAGES ARISING IN CONNECTION WITH: (A) YOUR INABILITY TO USE THE SERVICES, INCLUDING AS A RESULT OF ANY (I) TERMINATION OR SUSPENSION OF THIS AGREEMENT OR YOUR USE OF OR ACCESS TO THE SERVICE OFFERINGS, (II) OUR DISCONTINUATION OF ANY OR ALL OF THE SERVICE OFFERINGS, OR, (III) ANY UNANTICIPATED OR UNSCHEDULED DOWNTIME OF ALL OR A PORTION OF THE SERVICES FOR ANY REASON; (B) THE COST OF PROCUREMENT OF SUBSTITUTE GOODS OR SERVICES; (C) ANY INVESTMENTS, EXPENDITURES, OR COMMITMENTS BY YOU IN CONNECTION WITH THIS AGREEMENT OR YOUR USE OF OR ACCESS TO THE SERVICE OFFERINGS; OR (D) ANY UNAUTHORIZED ACCESS TO, ALTERATION OF, OR THE DELETION, DESTRUCTION, DAMAGE, LOSS OR FAILURE TO STORE ANY OF YOUR CONTENT OR OTHER DATA. IN ANY CASE, OUR AND OUR AFFILIATES’ AND LICENSORS’ AGGREGATE LIABILITY UNDER THIS AGREEMENT WILL NOT EXCEED THE AMOUNT YOU ACTUALLY PAY US UNDER THIS AGREEMENT FOR THE SERVICE THAT GAVE RISE TO THE CLAIM DURING THE 12 MONTHS BEFORE THE LIABILITY AROSE. We may modify this Agreement (including any Policies) at any time by posting a revised version on the “Materials Square” Site or by otherwise notifying you in accordance with Section 13.10; provided. By continuing to use the Service Offerings after the effective date of any modifications to this Agreement, you agree to be bound by the modified terms. It is your responsibility to check the “Materials Square” Site regularly for modifications to this Agreement. We last modified this Agreement on the date listed at the end of this Agreement. 13.1 Assignment. You will not assign or otherwise transfer this Agreement or any of your rights and obligations under this Agreement, without our prior written consent. Any assignment or transfer in violation of this Section 13.1 will be void. Subject to the foregoing, this Agreement will be binding upon, and inure to the benefit of the parties and their respective permitted successors and assigns. 13.2 Entire Agreement.This Agreement incorporates the Policies by reference and is the entire agreement between you and us regarding the subject matter of this Agreement. This Agreement supersedes all prior or contemporaneous representations, understandings, agreements, or communications between you and us, whether written or verbal, regarding the subject matter of this. We will not be bound by, and specifically object to, any term, condition or other provision that is different from or in addition to the provisions of this Agreement (whether or not it would materially alter this Agreement) including for example, any term, condition or other provision (a) submitted by you in any order, receipt, acceptance, confirmation, correspondence or other document, (b) related to any online registration, response to any Request for Bid, Request for Proposal, Request for Information, or other questionnaire, or (c) related to any invoicing process that you submit or require us to complete. If the terms of this document are inconsistent with the terms contained in any Policy, the terms contained in this document will control, except that the Service Terms will control over this document. 13.3 Force Majeure.We and our affiliates will not be liable for any delay or failure to perform any obligation under this Agreement where the delay or failure results from any cause beyond our reasonable control, including acts of God, labor disputes or other industrial disturbances, electrical or power outages, utilities or other telecommunications failures, earthquake, storms or other elements of nature, blockages, embargoes, riots, acts or orders of government, acts of terrorism, or war. 13.4 Governing Law. The laws of Rebublic of Korea, without reference to conflict of law rules, govern this Agreement and any dispute of any sort that might arise between you and us. The United Nations Convention for the International Sale of Goods does not apply to this Agreement. 13.5 Disputes. Any dispute or claim relating in any way to your use of the Service Offerings, or to any products or services sold or distributed by Virtual Lab will be resolved in Seoul Central District court of Rebublic of Korea. We and you agree that any dispute resolution proceedings will be conducted only on an individual basis and not in a class, consolidated or representative action. Subject to Section 8.5, we and you both agree that you or we may bring suit in court to enjoin infringement or other misuse of intellectual property rights. 13.6 Trade Compliance.In connection with this Agreement, each party will comply with all applicable import, re-import, sanctions, anti-boycott, export, and re-export control laws and regulations, including all such laws and regulations that apply to a company of Rebulic of Korea. 13.7 Independent Contractors; Non-Exclusive Rights. We and you are independent contractors, and this Agreement will not be construed to create a partnership, joint venture, agency, or employment relationship. Neither party, nor any of their respective affiliates, is an agent of the other for any purpose or has the authority to bind the other. Both parties reserve the right (a) to develop or have developed for it products, services, concepts, systems, or techniques that are similar to or compete with the products, services, concepts, systems, or techniques developed or contemplated by the other party, and (b) to assist third party developers or systems integrators who may offer products or services which compete with the other party’s products or services. 13.8 Language.All communications and notices made or given pursuant to this Agreement must be in the English language. If we provide a translation of the English language version of this Agreement, the English language version of the Agreement will control if there is any conflict. 13.9 Confidentiality and Publicity. You may use “Materials Square” Confidential Information only in connection with your use of the Service Offerings as permitted under this Agreement. You will not disclose “Materials Square” Confidential Information during the Term or at any time during the 5-year period following the end of the Term. You will take all reasonable measures to avoid disclosure, dissemination or unauthorized use of “Materials Square” Confidential Information, including, at a minimum, those measures you take to protect your own confidential information of a similar nature. You will not issue any press release or make any other public communication with respect to this Agreement or your use of the Service Offerings. (a) To You. We may provide any notice to you under this Agreement by: (i) posting a notice on the “Materials Square” Site; or (ii) sending a message to the email address then associated with your account. Notices we provide by posting on the “Materials Square” Site will be effective upon posting and notices we provide by email will be effective when we send the email. It is your responsibility to keep your email address current. You will be deemed to have received any email sent to the email address then associated with your account when we send the email, whether or not you actually receive the email. (b) To Us. To give us notice under this Agreement, you must contact Virtual Lab as follows: (i) by telephone to +82-2-3293-0204 ; or (ii) by personal delivery, overnight courier or registered or certified mail to Virtual Lap, Inc., (02792) 961c H-1, Hwarang-ro 14-gil, Seongbuk-gu, Seoul, Rebulic of Korea. We may update the telephone number or address for notices to us by posting a notice on the “Materials Square” Site. Notices provided by personal delivery will be effective immediately. Notices provided by facsimile transmission or overnight courier will be effective one business day after they are sent. Notices provided registered or certified mail will be effective three business days after they are sent. 13.11 No Third-Party Beneficiaries. Except as set forth in Section 9.1, this Agreement does not create any third-party beneficiary rights in any individual or entity that is not a party to this Agreement. 13.12 Government of Republic of Korea Rights. The Service Offerings are provided to the Government of Republic of Korea as “commercial items,” “commercial computer software,” “commercial computer software documentation,” and “technical data” with the same rights and restrictions generally applicable to the Service Offerings. If you are using the Service Offerings on behalf of the Government of Republic of Korea and these terms fail to meet the needs of the Government of Republic of Korea or are inconsistent in any respect with the law of Republic of Korea, you will immediately discontinue your use of the Service Offerings. 13.13 No Waivers. The failure by us to enforce any provision of this Agreement will not constitute a present or future waiver of such provision nor limit our right to enforce such provision at a later time. All waivers by us must be in writing to be effective. 13.14 Severability. If any portion of this Agreement is held to be invalid or unenforceable, the remaining portions of this Agreement will remain in full force and effect. Any invalid or unenforceable portions will be interpreted to effect and intent of the original portion. If such construction is not possible, the invalid or unenforceable portion will be severed from this Agreement but the rest of the Agreement will remain in full force and effect. “Account Information” includes names, usernames, phone numbers, email addresses and billing information associated with your “Materials Square” account. “Materials Square Confidential Information” means all nonpublic information disclosed by us, our affiliates, business partners or our or their respective employees, contractors or agents that is designated as confidential or that, given the nature of the information or circumstances surrounding its disclosure, reasonably should be understood to be confidential. “Materials Square” Confidential Information includes: (a) nonpublic information relating to our or our affiliates or business partners’ technology, customers, business plans, promotional and marketing activities, finances and other business affairs; (b) third-party information that we are obligated to keep confidential; and (c) the nature, content and existence of any discussions or negotiations between you and us or our affiliates. “Materials Square” Confidential Information does not include any information that: (i) is or becomes publicly available without breach of this Agreement; (ii) can be shown by documentation to have been known to you at the time of your receipt from us; (iii) is received from a third party who did not acquire or disclose the same by a wrongful or tortious act; or (iv) can be shown by documentation to have been independently developed by you without reference to the “Materials Square” Confidential Information. “Materials Square Content”means Content we or any of our affiliates make available in connection with the Services or on the “Materials Square” Site to allow access to and use of the Services, including APIs; WSDLs; Documentation; sample code; software libraries; command line tools; proofs of concept; templates; and other related technology (including any of the foregoing that are provided by our personnel). “Materials Square” Content does not include the Services or Third-Party Content. “Materials Square Marks” means any trademarks, service marks, service or trade names, logos, and other designations of “Materials Square” and its affiliates that we may make available to you in connection with this Agreement. “Materials Square Site” means https://www.materialssquare.com (and any successor or related site designated by us), as may be updated by us from time to time. “Documentation” means the user guides and admin guides (in each case exclusive of content referenced via hyperlink) for the Services located at https://docs.materialssquare.com (and any successor or related locations designated by us), as such user guides and admin guides may be updated by Virtual Lab from time to time. “Indirect Taxes”means applicable taxes and duties, including, without limitation, VAT, Service Tax, GST, excise taxes, sales and transactions taxes, and gross receipts tax. “Service” means each of the services made available by us or our affiliates, including those web services described in the Service Terms. Services do not include Third-Party Content. “Service Offerings”means the Services (including associated APIs), the “Materials Square” Content, the “Materials Square” Marks, and any other product or service provided by us under this Agreement. Service Offerings do not include Third-Party Content. “Suggestions”means all suggested improvements to the Service Offerings that you provide to us. “Termination Date” means the effective date of termination provided in accordance with Section 7, in a notice from one party to the other. “Third-Party Content” means Content made available to you by any third party on the “Materials Square” Site or in conjunction with the Services. “Your Content” means Content that you or any End User transfers to us for processing, storage or hosting by the Services in connection with your “Materials Square” account and any computational results that you or any End User derive from the foregoing through their use of the Services. “Your Submissions” means Content that you post or otherwise submit to developer forums, sample code repositories, public data repositories, or similar community-focused areas of the “Materials Square” Site, or any other part of the “Materials Square” Site that allows third parties to make available software, products or data. The interface is designed exclusively for MatSQ users and offers templates that are easy to use even for beginners of the simulation. You can model complex materials structures and submit DFT/MD directly in the web environment without installing any additional programs. 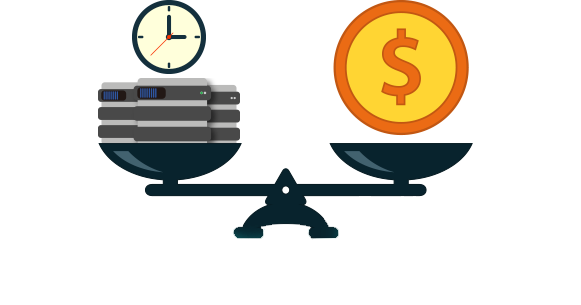 All calculations are performed at an economical cost in a high-performance cloud server that is optimized without waiting. Open source simulation software such as Quantum Espresso and LAMMPS, proven by numerous organizations and various studies, can be used as a minimum barrier to entry. Intuitive scripting environment and expert consulting are provided. 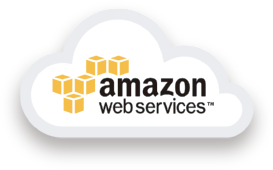 You can use the Amazon Web Services cloud HPC right away without any knowledge or experience in IT such as the cloud and HPC. Feel free to use cloud HPC, which is always up to date with the latest hardware. Q&A: support@virtuallab.co.kr We provide free formal training for users to use MatSQ smoothly, and provide training remotely in case of difficulty to visit (overseas and other regions). Go to page All information in MatSQ, from the description of each icon to the calculation module, is provided as text. The manual is updated every time MatSQ is updated. Messenger Please feel free to contact us with any questions you may have while using MatSQ. I'll help you immediately. (c) 2016 Virtual Lab. Inc., All right reserved.